Hipérion´s music is all about Heavy Metal. This project is marked by the rich arrangements and timing between the two guitarists. With a well-coupled bassist and drummer, all the structure is created for an explosive and brilliant voice arise. 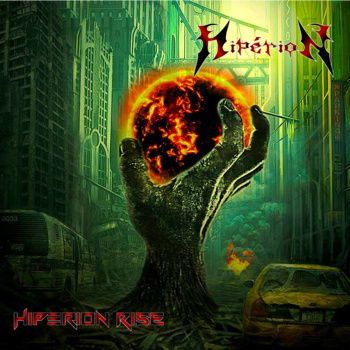 This work “Hipérion Rise” is the band’s first album. From the first moment I felt the desire and the application of Paul, Filipe ,Fábio, Agostinho and Helder (the last two, my former students) in the recording process. They are humble, and focused musicians. Our work has resulted in this album full of strength! The album artwork & photos belong to Ruth Soares.